Transformers remains to be one of the highest grossing films each year, so naturally I had to include one of the highly popular and incredibly lovable autobots on this list. It was a hard decision to make between Bumblebee and probably the more obvious choice, Optimus Prime. 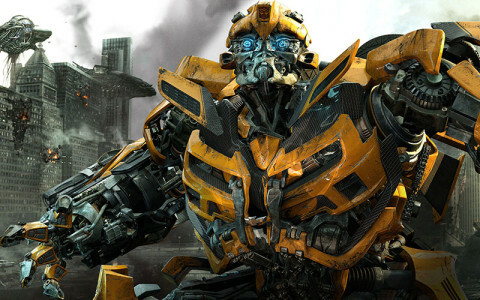 But when it came down to it, Bumblebee took the spot because he is the one we are introduced to first and fall in love with from the start, he’s the one who’s always there to protect our protagonists, and his little quirks – such as speaking through the car radio – make him just that little bit cooler. Tars is lovable for he is expendable. The robotic assistant to Matthew McConaughey’s journey through space is not only terrifically fair, balanced, and funny… At least 60% funny… But he is also one of the last representations of a species on the brink of extinction and one of the only remaining expandable characters in Nolan’s futuristic universe. 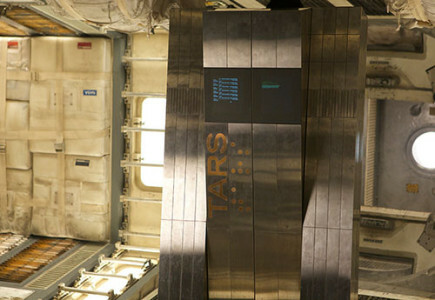 Through encapsulating all that is good in human nature, Tars wins hearts and minds in Interstellar, making him the 9th best movie robot of all time. 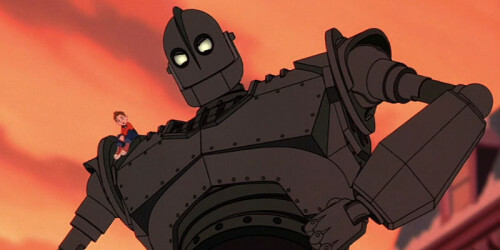 Iron Giant is the epitome of misunderstood. The story is set in the height of the Cold War and the fear of outside attack and foreign weapons was at its peak. So when this alien creature lands on earth everyone’s first instinct is to eliminate the unknown. The giant, as you would expect, has a huge body and a huge heart to go with it. He is not a weapon and will only attack when he feels threatened. Whereas many of the entrants on this list are here on merit of ‘coolness’ or how much they can do with their gadgets, the Iron Giant has earned his place with the message he represents. 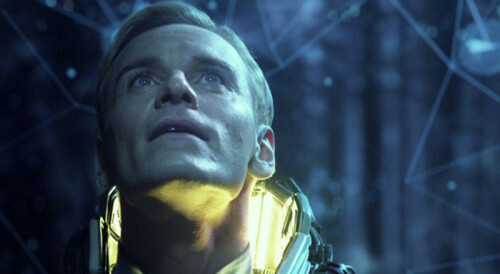 David, played by Michael Fassbender, is possibly the most captivating character in the Alien prequel Prometheus. In the original series we are given an idea of what a robot is and what to expect from them, this idea is then developed in Ridley Scott’s 2012 film, giving it an extra level of suspense. David embodies curiosity and the strive for human perfection, he desires to know more of the universe, and it is this desire that warps any humanity that he may possess. Whereas David is an incredible character, it may be Fassbenders performance that secured his place on this list. Baymax is the most recent creation on our list, from the minds of Disney this lovable, protector is born. 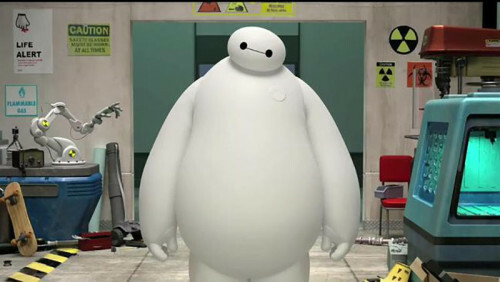 Baymax defies the conventions of how a robot should look. His inflatable body makes him cuddly and kind, which is exactly what his character is. Originally designed for medical purposes, he becomes a protector who is both loving and hilarious, and there is nothing harsh about him; a nice change from the typical robot image. Created with suspicious motives yet programmed to do good, Robocop is a half man and half robot/cyborg whose body may be made from metal and wiring, but whose heart is as pure as Gold. 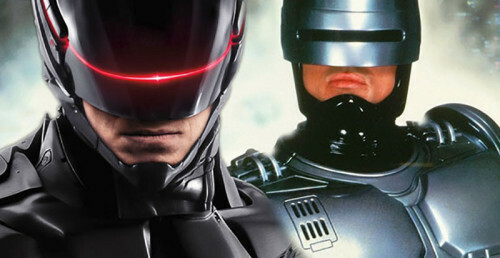 The ultimate representation of “good overcoming bad at all costs”, Robocop would beat most of the other robots on this list in a fight, making him the 4th best movie robot of all time. 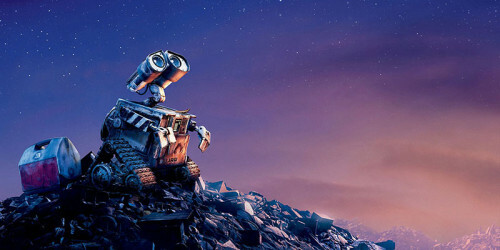 Wall-E is the robot that everyone falls in love with instantly. His innocence and his ability to convey such emotion without ever saying a word is what makes this little guy unforgettable. Wall-E is by far the cutest creation on this list, but don’t let that fool you because his incredible courage and his ability to feel is what sets him apart from any other. Wall-E is possibly one of Pixar’s finest creations and undoubtedly one of the very few greatest robots of all time. Whether a killing machine or a protector to John Connor, it is undeniable that Arnold Schwarzenegger’s Terminator is on of the most iconic robots (or, technically, cyborgs) in movie history. 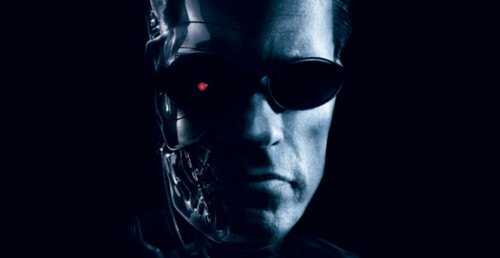 Terminator is exactly what you think of when you think “robot” – he’s strong, relentless and lethal; Terminator is full of action and will stop at nothing to get the job done. However, it is Terminator’s devotion to John Connor that makes him more than just a big lump of metal and wiring, and it is this as well as his iconic nature that makes him number 2 on this list. 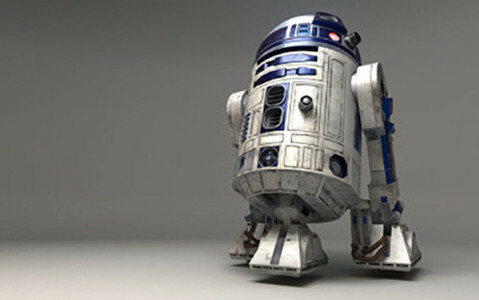 R2-D2 is possibly the most iconic and most legendary of all of the movie robots. In a sea of unforgettable characters, this small and voiceless robot stands out from the Star Wars Crowd. Not only does R2-D2 have the wiring to save his friends from the biggest of dangers, but he is also – along with companion C-3PO – comedic relief to the story of Star Wars. Equipped with endless gadgets in his little frame and the ability to fly when the situation requires it, R2-D2 is strong, loyal, cute, and basically just down-right cool; the best movie robot of all time.